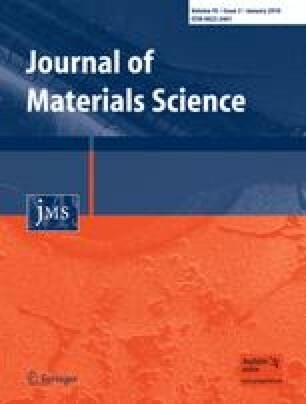 Electrochemical performance of the Li2S–P2S5–Cu composite materials was examined in all-solid-state lithium secondary batteries. The 80Li2S·20P2S5 (mol.%) solid electrolyte with the addition of Cu was partially used as an active material with lithium source in all-solid-state cells. The initial discharge capacity of 110 mAh g−1 (normalized by the weight of 80Li2S·20P2S5–Cu), which corresponds to 400 mAh g−1 (normalized by the weight of Li2S), was obtained in the cell using the 80Li2S·20P2S5–Cu composite electrode with the molar ratio of Li2S/Cu = 48/52. Cycling performance and reaction mechanism of the electrode in the solid-state cell were investigated. This work was supported by a Grant-in-Aid for Scientific Research from the Ministry of Education, Culture, Sports, Science and Technology of Japan, and also supported by the New Energy and Industrial Technology Development Organization (NEDO) of Japan.